Speaking at the London Film and Comic Con this past weekend, Iron Fist star, Sacha Dhawan has revealed that, while he didn’t audition for the role of the Thirteenth Doctor, he’d still love to play a future incarnation of the Time Lord. And you know what? He’d be a perfect fit! 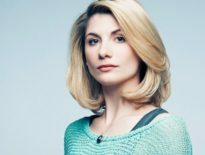 The part, of course, went to Jodie Whittaker – but Dhawan was rumoured for quite a while. Dhawan appeared in Sherlock, playing Ajay in the Series 4 premiere, The Six Thatchers, but Doctor Who fans will best recognise him for playing Waris Hussein in An Adventure in Space and Time, the 50th anniversary biopic, written by Mark Gatiss. 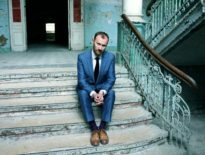 He also worked with Gatiss on 2013’s The Tractate Middoth, based on M.R. James’ book, and also starring Louise Jameson (Leela) and Eleanor Bron (City of Death). It’s no great surprise that Sacha never auditioned, however; Chris Chibnall, upcoming showrunner, didn’t audition any male actor for the role anyway! Personally, I’d love for him to be the Doctor – he was my choice for the Thirteenth Doctor, in fact. Mind you, I’m pleased that he’ll likely return as Davos for the recently-announced Season 2 of Iron Fist, exclusive to Netflix. Would you like to see Dhawan as the Doctor? Or is he too prolific to stay with one series for a considerable time?